Breathtaking Beauty. High Grade "Lacquer-Wiping" Finish. "Kamehachi" "Kamehachi" was designed for the upper class use, and we increased several more steps of the "lacquer-wiping" process than the "Kame" series. We applied lacquer 8 times, but usually we do for 5 times. We polished it more than 3 times as much as we usually do. We took more time and work to give it the finishing touches. The rich and bulky feeling, almost makes you think it's glass. It's just a masterpiece. Since the "8 (hachi)" is said to be a number with good fortune from its wide spreading shape in Japanese, we named the series "Kamehachi". With Ice Cold Water, Beer, or Hot Tea Poured in it Brings a Little Change into Your Life. 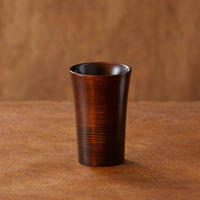 A Totally New Tumbler made from Japanese Cedar Wood. Promotion movie / We make SHIZQ like this. https://youtu.be/BvNQit2cOPY ●"Lacquer-Wiping" a Totally New Touch. The "Kame" made by SHIZQ. The "Kame" finished up with the "lacquer-wiping" process shows the black wood patterns through the lacquer, and has an amazingly fine touch. 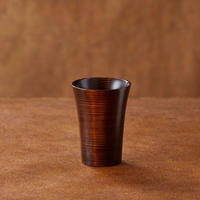 The natural Japanese cedar wood finished up with natural Japanese lacquer. The fine article of the totally natural made. A distinctive feature of the "Kame" series is that you can feel the exact lines of the wood patterns clearly shown by the lacquer. 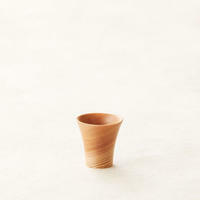 It has the glaze of a stone or a "kintsugi"(the art of repairing broken pottery), but still has the light and warm touch. 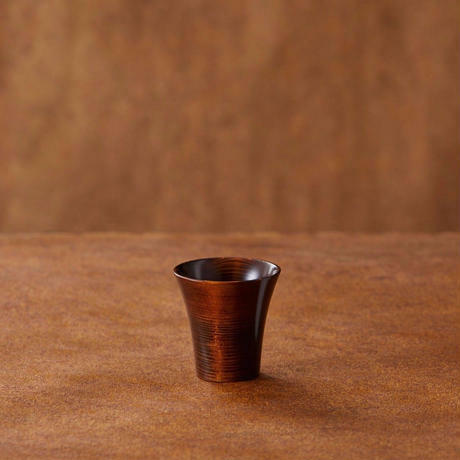 Enjoy the new feel that is created from the "Japanese Cedar Wood" and the "Lacquer-Wiping" process. "Lacquer-Wiping" process is a repetition of applying lacquer・wiping it off with a cloth・polishing. The lacquer applied on by several coatings becomes a thin hard layer and forms a shiny moisture surface. The Japanese Cedar Wood is soft and the lacquer penetrates deep inside the cells, so this "Lacquer-Wiping" process is a luxurious method. This is a more modern and natural way to apply lacquer than the traditional thick coating that hides away the wood patterns. The "Lacquer-Wiping" of these series is processed respectively with tender care by a professional woman lacquerer in Kagawa prefecture next to Tokushima. 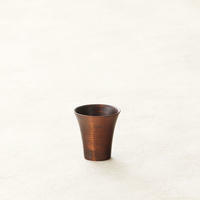 ※"Kamehachi" series can be hand washed with a sponge and dish soap, and is suitable to daily use. 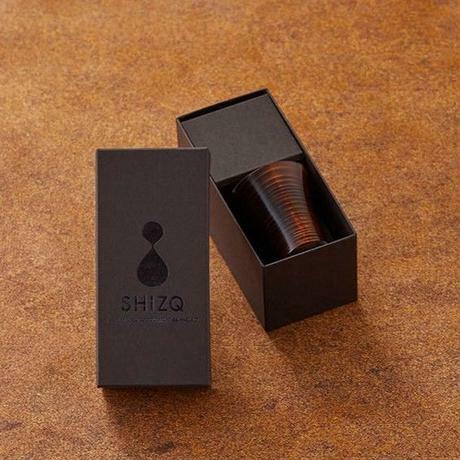 ＿＿＿＿＿＿＿＿＿＿＿＿＿＿＿＿＿＿ SHIZQ launched a project that gave new value to cedar, a material thought to be unsuitable for dishware. 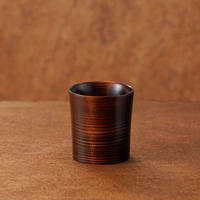 ●Cedar with its red and white wood surface works perfectly as a gift. The color of this cedar was named as Tsuru (crane) and Kame (turtle) for the lacquer. When handled with good care, it is said that cedar can be used for up to 50 years. 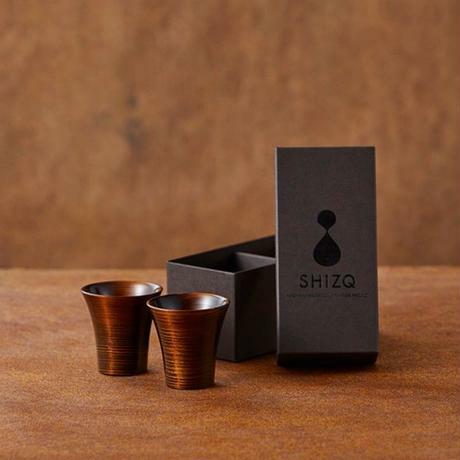 SHIZQ dishware will accompany the people using them for times to come. 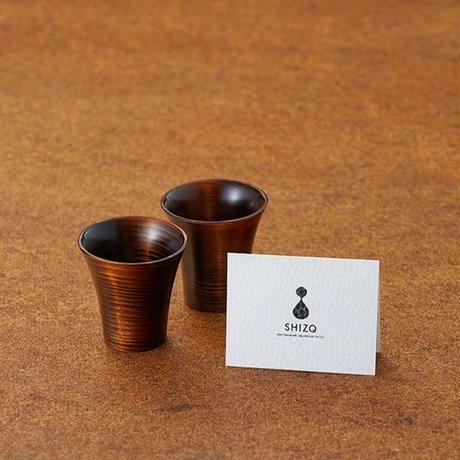 ◎As a wedding gift ◎As a gift for one’s family ◎As a gift for a retiring coworker ◎As a gift to celebrate the opening or renovation of a store ◎As a birthday gift ◎As a silver (25th year) and gold (50th year) wedding anniversary gift The SHIZQ dishware sold exclusively here are unique and thus when purchasing one as a present one does not have to be afraid of giving the same present as someone else. -------------------------------------------------------------------- ●Using the unique traits of cedar When cedar was used as a building material, its red and white color was regarded as a demerit. However, here at SHIZQ we see it a beauty and used its natural gradation from red to white in our products. 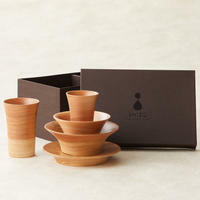 We also consider the unique wood grains called ‘Ikibushi’ and ‘Habushi’ as important special traits. The way of cutting cedar so that the tree rings overlap is a very luxurious way of using wood. 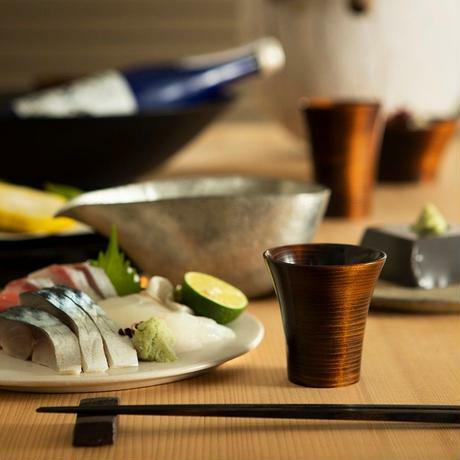 ●There is only one craftsman that is certified to carve wood for SHIZQ dishware. The soft cedar cannot be cut with any commercial tools. 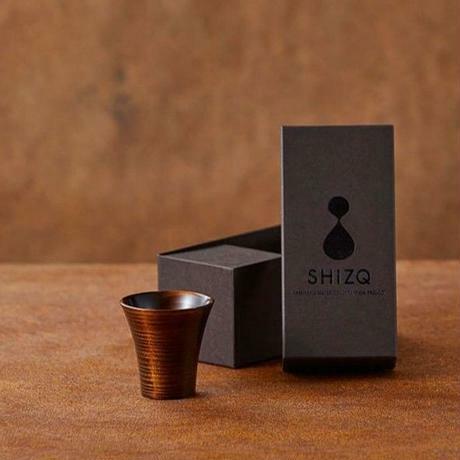 There is only one person who can forge a special blade and use a pottery wheel as tools when creating SHIZQ products and this is also one of the reasons why SHIZQ dishware do not exist anywhere else. ●To save ‘SHIZQ’ for our children in the future The amount of river water has been reduced to one-third of what it was thirty years ago in Kamiyamacho of Tokushima prefecture. The Kamiyama SHIZQ project attempts to revive the flow of the river enhancing the mountains water capacity by cutting down overcrowded cedar trees and developing a new method to use cedar. From sawing the local cedars from the state of a log to giving it time to dry naturally, Kamiyama SHIZQ project members are a part of this important process. Compared to what is thought to be common in the woodwork industry, we might be taking the extra step. But despite this fact, we think this is an important method to make quality goods. 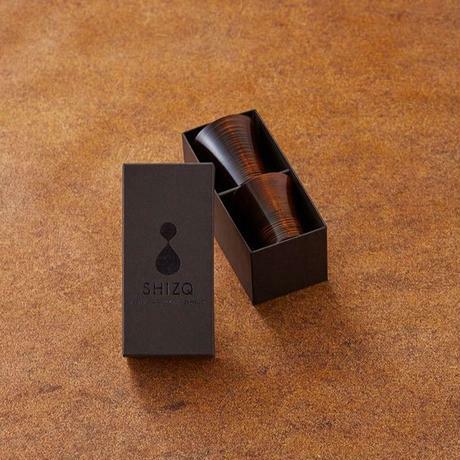 A special gift box with SHIZQ logo engraving is available (200yen). Please select the size of the gift box on the order screen when purchasing. A message card is included with the gift box. Please write your message in the remarks column. A Noshi service is also available. At the end of the screen, there is an explanation about Noshi. Upon checking this, please write the occasion of the celebration in the remarks column. English version of brochures and instruction manuals for the products are available. If you wish to have one, please write in the remarks column. If you wish to receive a receipt, please write the address and a proviso in the remarks column. 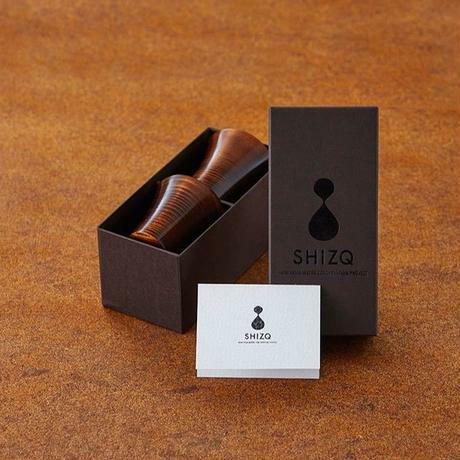 Product specifications and details Brand: SHIZQ Designer: Kiyoharu Hirose Dimensions: H 115 mm x Diameter 80 mm (at brim) / 60 mm (base) Capacity: 45 cc Weight: approx. 20 g Material: cedar Surface finish: Lacquer-Wiping (8 coats) CAUTIONS ・Sizes and shapes of individual products may vary slightly, as they are handcrafted by an artisan. 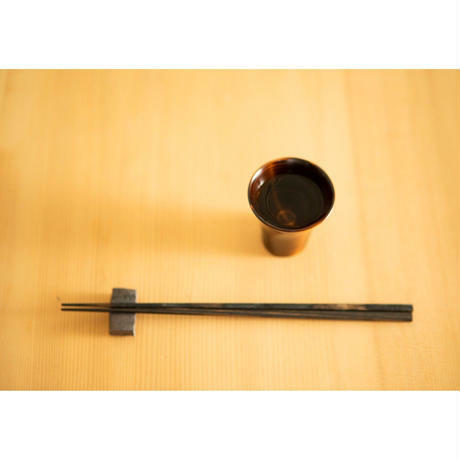 ・Please take care when using metal cutlery with these wooden products, as the cutlery may damage them. ・NOT safe in dishwashers, dish driers or other similar devices. ・NOT microwave safe. ・Wash with a sponge, cloth or other non-abrasive item. Use detergents that do not contain abrasives. ・Although these products are heat-processed, do not allow them to come in direct contact with boiling water. They can be safely used with water up to a temperature of around 60℃. ・Store in a cool, dry place away from direct sunlight. ・Please avoided to put in water for long time.